I'm currently growing my hair and as such, taking extra care with the condition by indulging in oils and treating my tresses with a weekly masque. 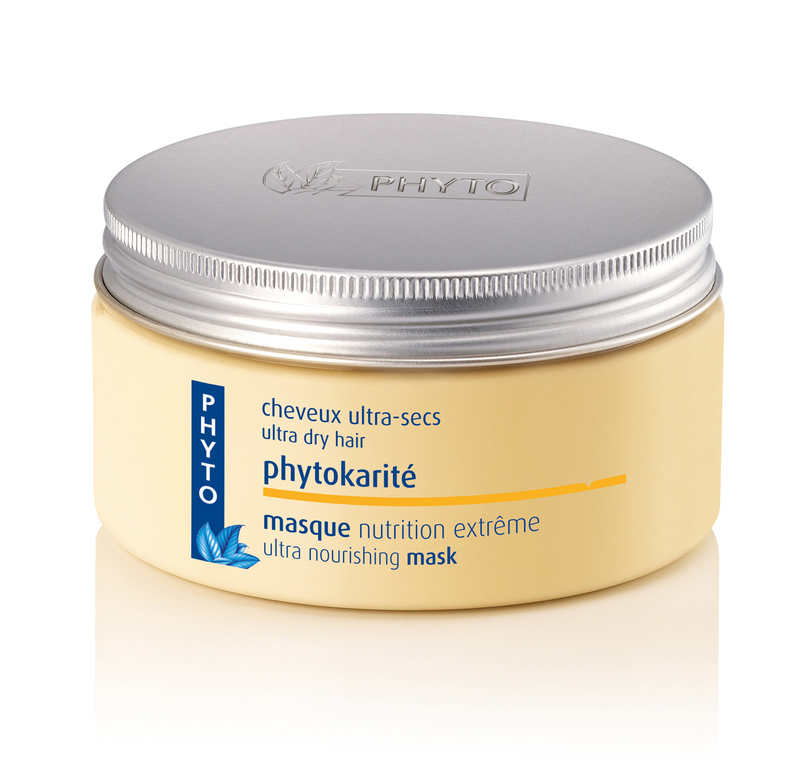 I've tried a number of different masques and this week, it was the turn of Phyto's PhytoKarite Ultra Nourishing Mask. It took me a little while to get around to trialling this mask as the packaging didn't particularly excite me. There's nothing wrong with it as such but the box is rather clinical. The tub inside is much better, more akin to skincare and I really liked that the instructions are very clear with no room for error. Tip- if you are tempted to try this mask, be sure to go for this new packaging as I've heard less than favourable reviews about the old formula which is in different packaging. 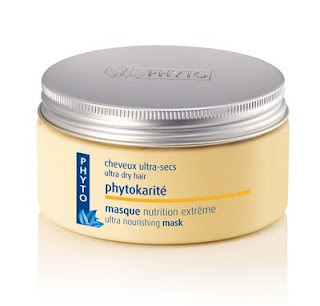 I liked that the mask is natural, without parabens or silicons although I was a little concerned that this omission may leave my hair looking like a frizzball. The formula is a pale yellow, slightly sticky cream with a sweeter scent to the herbal one I was expecting- it reminded me of cake batter! If you find the thick formula difficult to work with, you may find it beneficial to warm the cream in your hands before applying to hair. The scent didn't linger in my hair once dry, it was simply left feeling clean. Although easier to rinse out than I expected, I did feel that a slight film was left on my hair. Having said this, my fine hair didn't feel weighed down at all- in fact, it felt more lightweight that usual. My hair was left sleek (I needn't have worried about the frizz!) and super shiny as well as easier to style. I'll definitely use this again. Love it!